The place where good friends and good times meet. Ice cream is our passion which means we make our ice cream in small batches, by hand, using high-quality ingredients. We hand pack each pint to ensure you receive delicious ice cream that you’ll absolutely love. In case you were wondering what the “(402)” in our name meant, it’s the area code our company makes the delicious ice cream you enjoy so much. We are so proud to be located in Lincoln, NE that we wanted it represented in our company name. 9 South Chargrill, in Lincoln and Hickman, is a casual grill with flair. Scratch cooking with locally sourced foods. Full wine list as well as craft breweries on tap. Reservations available. Steaks, Duck, Pastas Catfish, Ribs. Come Check us out. Catering also available. Serving airports across America Since 1970. Alchemy Aqua Vitae is a uniquely themed specialty bar serving exclusive spirits and handcrafted cocktails. Alchemy offers an enchanting atmosphere and drink selection unlike any other in Nebraska. Please, come visit us and discover the magic of Alchemy. If you've been downtown especially late-night you, know one of the best gyro restaurants is Ali Baba Gyros. Ali Baba, located near the corner of 14th & 'O' Street has been part of the downtown experience since 1990. Owner Naqibullah Attaie opened this fine establishment after running Kuzas Kabobs, this location with better foot traffic and the smaller size was much more manageable. Their menu has remained the same for over 20 years and features traditional Greek foods, chicken, vegetarian salads, gyros, and burgers. With generous helpings of great food, friendly and personable staff, this is a place you can't pass up! Plus they now offer delivery with Metro Dining Delivery! So even if you can't make it there you can have their great food delivered right to your home or office. 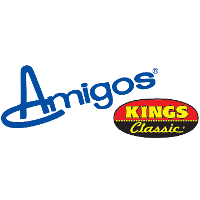 Amigos is a locally-owned chain found only in Nebraska that originated in Lincoln 35 years ago! The 13 locations open early for breakfast and offer late night Drive Thru service, so you can enjoy Amigos' freshly made food any time of day. The menu offers soft tacos, nachos, big burritos, burgers, wings and more. Hours: Listed at amigoskings.com .